Just a simple Birthday card, since we are preparing for the Frankenstorm. The kids are off school, the trash was suppose to be collected, however everything seemed to be closing within moments notice. I am not sure how much time we will have left on the power so I have put a turkey in the roaster, since we can eat it hot or cold. Boiled some eggs, and am making some squash soup. I wish I would have voted for cookie making but that wasn't really an option. Maybe tomorrow. 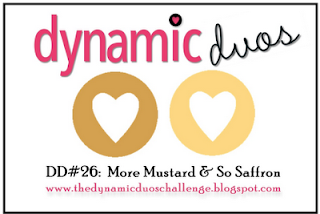 Played with the color challenge at Dynamic Duos, and I really got into this. 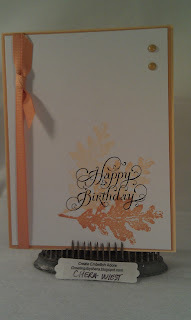 I made a few birthday cards, and then pulled some monochromatic colors in green did some too! Have a great day! Be safe! Thanks for stopping by! Love those leaves and the script sentiments are gorgeous. Glad you all are ok up there! 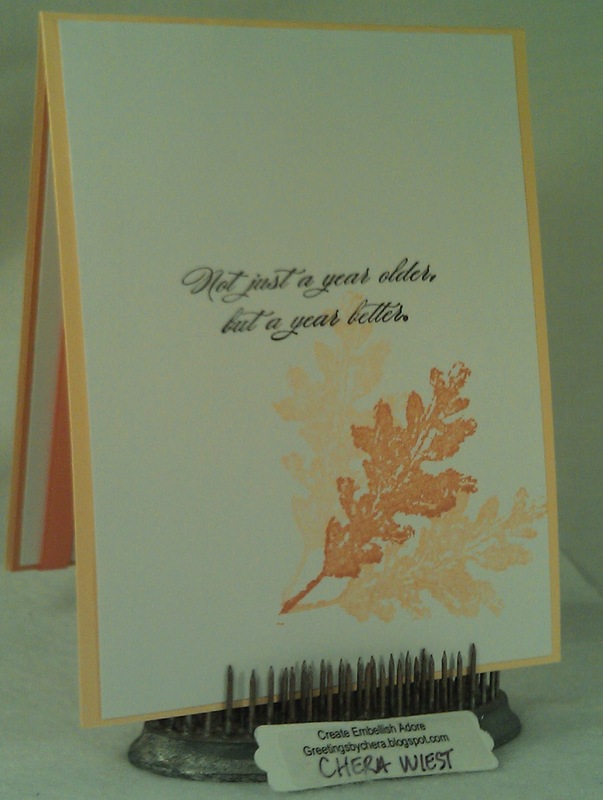 Pretty CAS card, love the swirly sentiment. Hope things get back to normal for you soon, Happy Halloween!